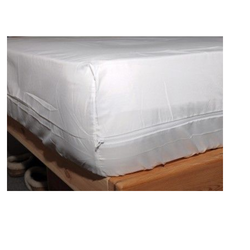 Providing you the best range of anti dust mite mattress protectors with effective & timely delivery. Presented by Dupont, These Anti Dust Mite Mattress Protectors create a clean and hygienic environment for sleeping. These protectors are not only water resistant but also highly breathable. These ensure complete protection to mattresses from bed bugs, dust mites, allergens, bacteria, body fluids, spilled liquids and urine. By ensuring all these protections, the protectors are suitable for people suffering from asthma, allergies and skin infections.